Some of my friends have labeled me a "food snob" or "no preservatives queen" and I am okay with that. I have used food in my life to heal and sustain me and I can speak from experience that it works. This is the time of year when we can't wait for spring to come. We want to be outside and put our flip flops on and have that yummy, glowy skin and of course we want to be in good shape to wear those spring/summer clothes. We put away our heavy clothes and our bulky shoes and bring out our bright colored clothes and tank tops...yay!!! We should do the same with our food. About this time of year is when I attempt to clean out all the "winter" in my body and bring on the "spring." It is detox time! Start simple but powerful. Lemon water is your friend. When I say lemon water, I mean no drinking anything else...only lemon water. Now if you are a coffee drinker or wine with dinner drinker, that is fine, just not in excess. Herbal teas are fine to drink too. Lemon is so powerful for your body and immune system and skin. I try to drink 3 liters of lemon water a day. Use your whole lemon too. If you have a garbage disposal put your lemon in there and it will make the kitchen smell yummy and the acidic properties in the lemon will be a great disinfectant for your disposal. I also grate the skin of my lemon and put it in a small bowl on my window seals when I can open the windows and it will fill the house with a nice lemon smell with no toxins. You can have that lemon smell when you can't open your windows. Just slice your lemons and heat them in water on the stove, let it come to a boil and then take the heat way down to let it simmer. I don't use chemicals in my house so these are great ways for me to get that great smell with out spending the money on products that can be dangerous to me and Sean. God gave us this great little lemon...we should use it. I guess this post has turned into the super lemon post. I have even know people who have squeezed a lemon and use the juice with a cotton ball to apply to their face for acne. You can dilute your lemon juice with warm water (half and half) and use it as a facial wash. I use lemon water in a squirt bottle in summer for my hair for natural highlights. I also use my lemon on my cutting boards with just a touch of water and salt to clean and sanitize them. They are wood so cannot go in the dishwasher so that is a great way to clean with lemon. 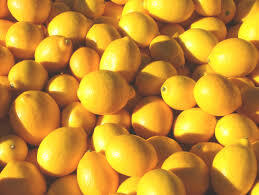 Well now that we have used our entire lemon we should get back to detox. Like I said, start simple but powerful. Don't take it all on at once. If you can't be disciplined to drink water with lemon in it and take out all your soda and juice then you will never be able to change your diet of food. Oh and by the way...don't put sugar in your water, that defeats the purpose. However, you can heat your water and put a bit of organic honey in it if you like the sweetness. Let's see how it goes. 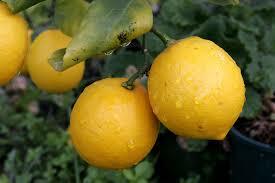 I will be picking up my lemons tomorrow! Now... if you are in a restaurant, I would check and make sure the lemons are CLEAN! have you seen this clip? AND, right before I saw this i was at Mongolian BBQ and asked for a lemon for my 'togo' cup and the server just picked it up off the tray and handed it to me. I PASSED on that lemon and gave it back! Great info on lemons, and it's fabulous to see this blog! Go Jen! How much lemon to how much water? The lemon water sounds like a great idea. I don't drink much other than water, herbal tea, raw milk and the occasional wine/beer, but I'm all for upgrading my water! How much lemon/water? However much you would like. If you are using for detox purpose you should use your whole lemon in a liter of water, but you don't have to be technical about it. That is the glory of using food as our medicine, you can't really overdose. I will scrub my lemons and use all the juice I can squeeze out of it and then drop one half of the lemon in my cup and keep refilling my cup. Make sure if you are using plastic that it is in a polycarbonate bottle so that the chemicals from the plastic don't leach into your water and defeat the whole purpose of healthy living. You can always look at the bottom of your cup or bottle and see the number in the little triangle...it should have a "7" in it, then you know the plastic is good.